Originally published by Turbellaria in 2010. Written and recounted by an anarchist who ventured there for a moment in December 2008. It is impossible to render what happened over there in words, because what took place was a social rebellion, where the outward face of capitalist society came under assault by massive numbers of disparate people, acting as one. 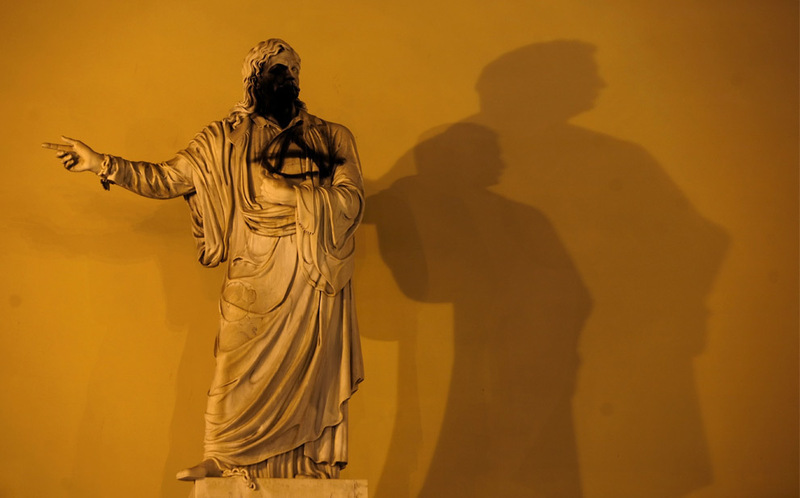 Anarchists who had been in the thick of the rebellion around the Polytechnic in Athens were visibly overwhelmed. Stunned by the events, their eyes shining with passion and wonder, they were the first to admit that they had lived moments that they had never imagined even in their wildest dreams, and which had completely surpassed them. This candid account (transcribed as spoken) by an anarchist comrade who suddenly found himself acting in a completely different terrain to that with which he was familiar, and the fears and questions that this awakened in him, is a valuable testimony that opens up many questions for all anarchists. Next day, Monday, I didn’t go to work. A friend called me on the phone to tell me that some school pupils had attacked the police headquarters of Pireus, the port of Athens. Later I heard that there had been another attack in Pireus against a police station and from that moment I began to receive information about many attacks on police stations in very ordinary parts of Athens and all over Greece. Even then I had not realised what was going on. I met my father some time later and he had seen the attack on the police headquarters of Pireus while at work. He told me laughing that the pupils had overturned the police cars and smashed the facade of the building and there were ordinary people around clapping their hands. When I reached Omonia Square right in the centre of Athens, many people were trying to set fire to a very central prestigious building of the national bank of Greece where a woman was trapped inside. Other people were moving towards Omonia police station to attack it, everything burning and being looted all around us. I met two women anarchist comrades that I don’t know very well. But we were the only people who knew each other there and they asked me what I suggested doing because, as they told me, they were not sure if they really wanted to be there. I told them that I couldn’t answer because I felt the same way. Over recent years the road outside the Polytechnic has been the scene of many street battles with the riot police. For the first two days following Alexi’s murder those fighting were still mainly anarchists, possibly in the widest sense, but still anarchists or at least people of the antagonist movement. Many, many comrades who until these days had never lifted a stone were involved in fighting the police. Leftists whose negative attitude towards riots or clashes with the police had until then monopolised our encounters with them were in many cases involved, and sometimes passionately, in the clashes. On Monday, the third day, this changed. A mixture of young people but also many other people impossible to categorise became the driving force. Many anarchists were embarrassed by this situation. The violence that these people were releasing surpassed the limits of the mainstream anarchist mentality. These limits were faithfully adhered to by the school of economics occupation close by, predominantly occupied by anarchists without the presence of the ‘rabble’. In fact, the Polytechnic came to be referred to as ‘Bagdad’, whereas the ASOEE (school of Economics) was ‘Switzerland’. The Polytechnic school was a place where a mass of many different people gathered: very young people, school students, some ‘emo’ style maybe from wealthier families, simultaneously with first and second generation immigrants, many of whom didn’t speak Greek, many people who couldn’t be specifically catgorised, and inside this confusion of hundreds, sometimes thousands, of people there was a minority of anarchists desperately trying to retain some political character in the occupation. 10 years after police murder on #Alexis: A world without police – Enough is Enough!